Undiscovered for 2,000 years, it survived revolution, invasion and war. Now destruction looms again: this is the story of Saving Mes Aynak. Director/producer Brent Huffman, a documentary maker and film professor at Northwestern University, has been independently shooting at the Mes Aynak site in Afghanistan since 2011, and has now brought the documentary to Kartemquin Films. “As the premiere destination for complex social issue films that intend on making a global impact, Kartemquin is the dream home for Saving Mes Aynak,” said Huffman, who hopes to finish editing and premiere the film by the end of 2014. In 2007, the Afghanistan government granted copper mining rights at Mes Aynak to the Chinese state-owned China Metallurgical Group Corporation (M.C.C.). Situated in volatile Logar Province, where the Taliban holds considerable power, Mes Aynak is home to one of the world’s largest untapped copper deposits — worth more than $100 billion. Yet the site also houses the astonishing remains of an ancient Buddhist city, which archaeologists are now racing to save. Excavations began in 2009 and have uncovered golden Buddhist statues, dozens of stupas and fragile Buddhist manuscripts buried within temples. Yet perhaps 90 percent of the site remains underground and unseen. To finish the job could take decades. 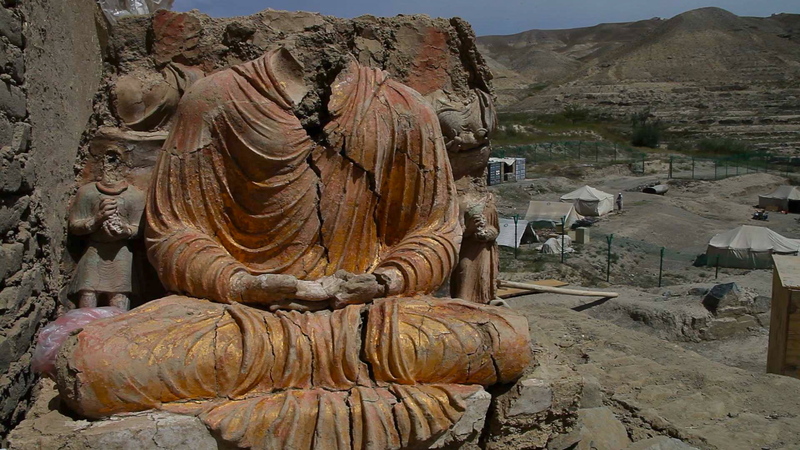 But it is very likely the total destruction of the site for mining will begin later this year, in a tragedy that echoes the notorious destruction of the Buddhas at Bamiyan in 2001. In addition, there is the real danger than the mining will devastate the environment by polluting the land and water supply in Logar province. Saving Mes Aynak was one of just 18 documentaries to receive grant funding from the John T. and Catherine D. MacArthur Foundation this year (Kartemquin's In The Game and The Schools Project were also funded in the same round). Other funding has come from smaller grants and a successful Kickstarter campaign. Zak Piper (The Interrupters, Life Itself) has joined the project as Consulting Producer, and Kartemquin staffer Matt Lauterbach has signed on as Post-Production Supervisor. Julia Reichert (A Lion in the House), Gordon Quinn (Kartemquin Founder & Artistic Director) and Justine Nagan also serve as executive producers. 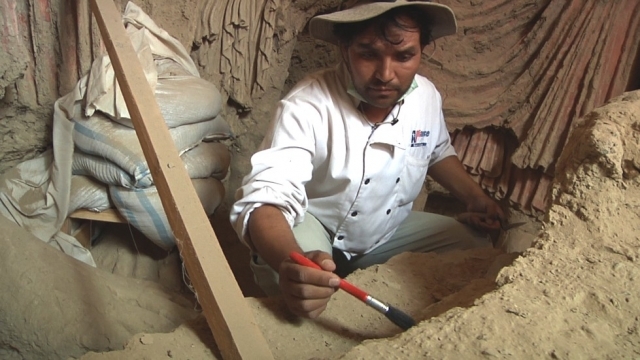 To mark the collaboration, Huffman and Kartemquin have launched a new website: www.savingmesaynak.com, which features photos of the many relics discovered while filming, as well as links to numerous articles about the fight to save the site from destruction, including a New York Times Op-Doc he produced on Mes Aynak in 2013.